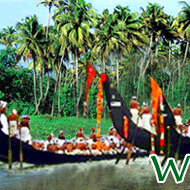 This Kerala shopping guide briefs you about shopping in Kerala, shopping attractions and things to buy in Kerala. 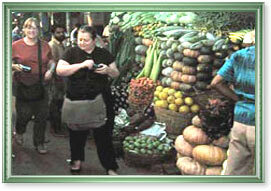 While traveling in Kerala, one is tempted to try your hands at shopping for traditional Kerala products. These products are not only unique but also serve as great souvenirs. 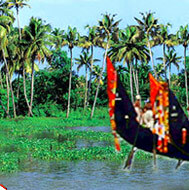 There are many cities and towns in Kerala where you can satiate your shopping needs. Kerala is known to be a shopper's delight, right from giant shopping malls to localized flea markets, the state has them all. However, when shopping at flea markets, chances are that they'll try to overcharge you, so do not hesitate to bargain a bit on the prices and you're sure to get them reduced by Rs. 50-100. 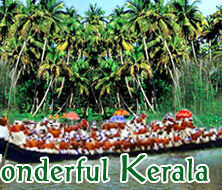 Specialties of Kerala include ivory carvings that have been available since the early times; various pottery and ceramic products; Aranmula Kannadi (metal mirror); handicrafts made up of coconut shells, wood, clay, and cane; mural paintings and handloom products like Kasavu Sari (sari with golden brocade); and other gold and silver brocaded fabrics, boxes, buttons, and ashtrays of steel with silver lining. A variety of items can be bought as souvenirs from the Culture Shoppe, which is the official agency to promote souvenirs for the state of Kerala by the Department of Tourism, Government of Kerala. Travelers from across India and abroad can indulge themselves in hefty shopping for gifts and mementos they want to take back home. Uruli (Wok), Para (a miniature traditional vessel made of brass), Kettuvallom (rice barge), Nettipattam (caparison for elephants), and Nettoor Petti (traditional jewelry box) are some goodies to choose from. Apart from these items, Kerala is also famous for spices, which can be ideally picked and used in delicacies for an improved taste and flavor. What's more, if you plan your trip to Kerala in December or early January, there's a shopping extravaganza in which you can partake and shop till your shoulders drop; it's called the Grand Kerala Shopping Festival. It begins on 1st December and continues for 46 days till 15th January next year. If you are looking to send a unique Diwali gift to your dear ones, visit our partner site www.senddiwaligifts.org.uk for a fulfilling online experience.